To download the fantastic Interactive resource , ‘The Fairground’ — an audio version of the print Poster complete with music and poem reading. Activity sheets featuring discussion cards, a wordsearch and a mini version of the Poster are also available. The fairground: a place full of frivolity and fear all rolled into one! Adults and children alike can revel in the rides, have a go at a game and fill their tummies full of sugary food. 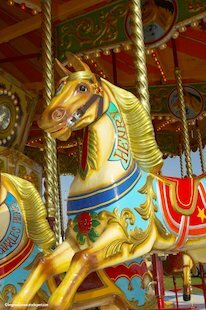 You’ll hear laughter and screams; music and chatter as people weave in and out of the rides – plenty of action to inspire some creative writing!